Very nice apartments and community.submitted by Katrina F. - Mar 02, 2017 |Recommended: YesThe units are very nice and modern. The management plans fun activities throughout the year. I feel safe here. Only downside for my particular unit is only 1 choice for TV service which is COX and I prefer Direct TV. Parking for the units above the businesses can be inconvenient sometimes. Realistic Expectations submitted by Gwenyth G. - Feb 02, 2017 |Recommended: YesOverall, I have enjoyed working with the staff here. We had a few hiccups such as the call center I kept being sent to when I tried to contact someone in the physical office however, these things can be overlooked in the long run. On the other hand, the more irritating issues have to do with noise and parking. The walls are thin enough to hear your neighbors playing music, entertaining guests, watching TV, and walking around at night. Also, the parking spaces appear smaller and more cramped than a typical parking lot. I have a few new dents on my car to prove it. On the other hand, the community around the apartment complex is safe, and I have enjoyed taking nightly walks around the community. It is a convenient distance from Moka cafe, grocery stores, and places to eat. response from property - Feb 03, 2017 Thank you so much for your feedback, Ms. Gaba. 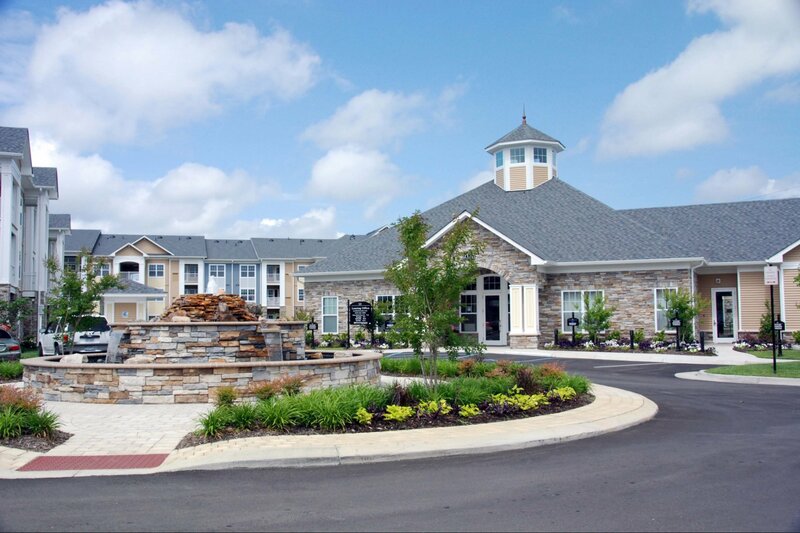 We are happy to hear that you enjoy living here and we are honored to have you as a resident here at The Cascades! Great placesubmitted by Joe B. - Jan 10, 2017 |Recommended: YesThere are only two very minor things to be mindful of when living here Be careful where guests park, you will be towed. Don't even park in the wrong spot for 10 minutes. Put your garbage out before the weekend, the compactor is totally full by Sunday. If you can overcome these two very minor issues, this is a FANTASIC place to live. The staff is excellent and is very responsive to any issue. BEAUTIFULsubmitted by Latasha C. - Dec 15, 2016 |Recommended: YesUpon moving from my last resident to The Cascades I absolutely love everything about my place and I would definitely recommend anyone looking for a nice cozy comfortable home to live in. The property is well maintained and usually pretty quiet.submitted by Clennie W. - Nov 28, 2016 |Recommended: YesThe complex is usually quiet and the management staff is helpful and welcoming. The office does host community events, but the turnout seems a bit small, unfortunately. Parking is plentiful and the amenities are a plus. Overall, we enjoy living here at the Cascades. This place is quite, good maintenance, and the landscaping beautiful. submitted by Adrian G. - Sep 14, 2016 |Recommended: YesIt's like always feeling safe, relax and peaceful. Enjoyable staff and good Amenities. A place you want to bring you friends and family. My friends want to move here when I talk about living here. Great luxury apartments for VA beach areasubmitted by Kirson W. - Aug 01, 2016 |Recommended: YesMy spouse and I looked at numerous apartments in the Virginia Beach area and Cascades turned out to be an excellent choice. Staff is very cordial and helpful and the apartments are situated nicely. Overall, the only downside I've noted thus far is the outdoor mailbox setup susceptible to weather and can make late night runs a little uneasy . Overall, we're very excited about staying at the Cascades and, at this point, would certainly recommend it. Best community ever submitted by Jacob S. - Jul 26, 2016 |Recommended: YesAwesome staff, awesome apartment living, pet friendly, convenient to everything.